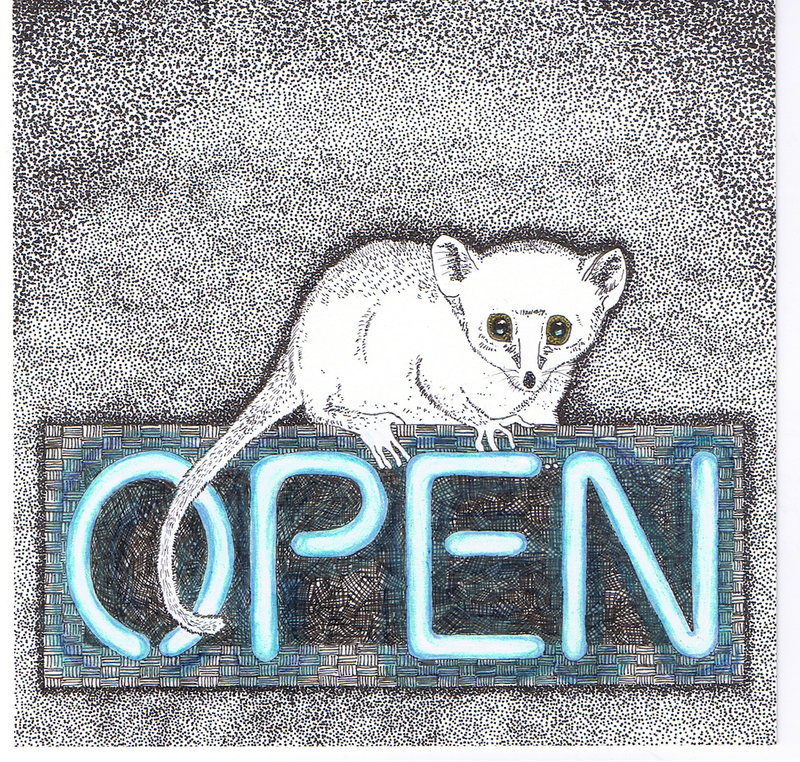 Here’s a mouse lemur about to head into the post for Mail Me Art 4, open all hours. Mail Me Art’s website is well worth a look. There’ll be an exhibition of the work when they have received all the pieces.